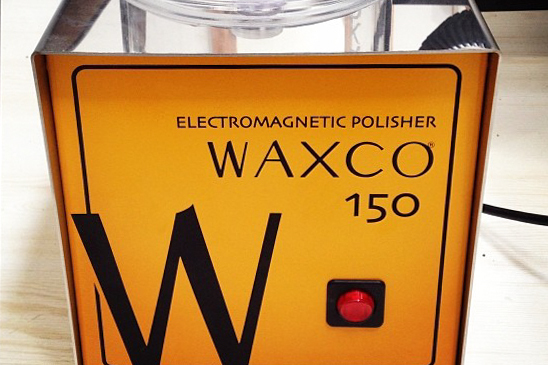 I have been coveting a magnetic polisher for some time. I have been hand polishing things through various grades of emery paper, then different radial discs and polishing compound. Obviously, this takes a really, really long time. So, I finally bought myself on of these: The lovely people at H S Walsh in Hatton Garden offered me a demo of it using my own rough castings and I was so impressed I bought it there and then. It's not a substitute for hand polishing - things come out of it shiny but sort of frosted - but the tiny pins get into all the little recesses that are impossible to reach by hand and it drastically cuts down on sanding time.